After wearing the same uniform for the past four seasons with the Tampa Bay Rays, Alex Cobb and Jake Odorizzi face off Sunday as Cobb's Baltimore Orioles try to avoid a sweep when they take on Odorizzi and the Minnesota Twins at Target Field. [post_ads]With the Rays in a full-blown rebuild, both pitchers found new homes this past spring. Odorizzi was traded to Minnesota early in spring training while Cobb was one of the many free agents who waited out an unnerving winter before eventually signing a four-year, $57 million deal with Baltimore late in camp. Now, only a week away from the All-Star break, neither pitcher -- nor his team -- is having the kind of season they anticipated Opening Day. It's been especially painful for Cobb (2-10, 6.53 ERA), whose deal was the largest offered to an Orioles pitcher. The right-hander was expected to be a stabilizing force in a rotation that had designs on a postseason berth but instead, he slumped out of the gate and went 2-9 with a 7.14 ERA through his first 12 starts in an Orioles' uniform. Through that, there have been flashes of the pitcher Baltimore had in mind when it made the deal. He's held opponents to three earned runs or fewer in eight of his 15 starts overall, including his last time out when he held the Phillies to three while striking out five in 6 2/3 innings. "Alex is going to be a good pitcher," Orioles manager Buck Showalter said. "He is a good pitcher at times this year. It's hard. It's hard. He's hardened from pitching in the American League. He knows the fine line between success and failure." With his team holding baseball's worst record and buried in the basement of a division dominated by the Yankees and Red Sox, Cobb knows the playoffs aren't even a pipe dream at this point. But he still has a goal of finishing the season strong and setting the stage for a bounce-back campaign in 2019. "I don't want to say take it almost spring training-like, but we have to do whatever it takes for each and every one of us to get better going forward," Cobb said. "When you get hung up on results, I think that you let that cloud the process that's going on to make yourself get better. I don't want it to be framed to any fans or front office, coaching staff, that we're not going out there trying to win ballgames. We absolutely are, every single night. "But we also need to not be so result-oriented and take the small progressions that we're making and get better. If we want to compete later on this year, next year, we need to get better each and every one of us -- individually." 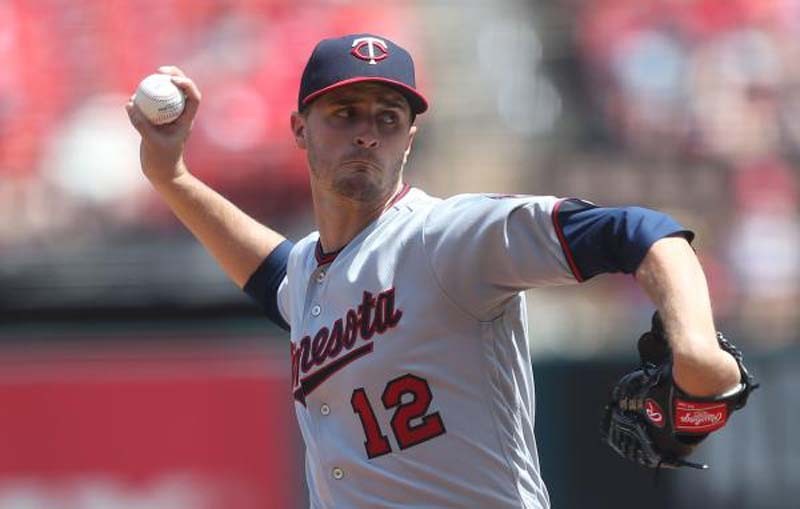 Things haven't been much better in the Twin Cities, where Odorizzi (3-6, 4.57 ERA) was expected to be a key addition to a Twins team that was thought to be a contender with Cleveland for the AL Central title after making an unexpected trip to the American League wild-card game a year ago. "It's upsetting and frustrating ... it's not something I take lightly," Odorizzi said of his struggles late last month. "I take a lot of pride in getting guys out. Trust me, I'm more frustrated about this than anybody in this clubhouse. This has been one of the tougher stretches in my short big-league career." Odorizzi, who hasn't won since May 8, is 5-4 with a 4.42 ERA in 19 games (18 starts) versus Baltimore.